However, it was only when I won the business that they revealed they'd been shopping around. In fact, one of the other firms they’d talked to was one of the Big Four accounting firms. The reason I won the business, they said, was because of the detail l went into, whereas the proposal from the much larger firm was a single page. What was even more interesting – from the point of view of pricing – is that my price was also more than double that of the Big Four firm! The client chose me, however, because of the detail I went into as to what I would do, and how this would benefit them. It meant they saw me as more of an expert than a top four firm! I’m sure you’ve noticed how in life we associate price with quality. We assume that if something's cheap, it's low quality. On the other hand, if something's expensive, we assume it's high quality. But what's interesting when we’re thinking about pricing is that most people prefer high quality. By keeping our prices low, we’re simply sending out a signal about the quality of what we do. A signal that will put off all those serious business owners who are looking for a good-quality accounting professional. 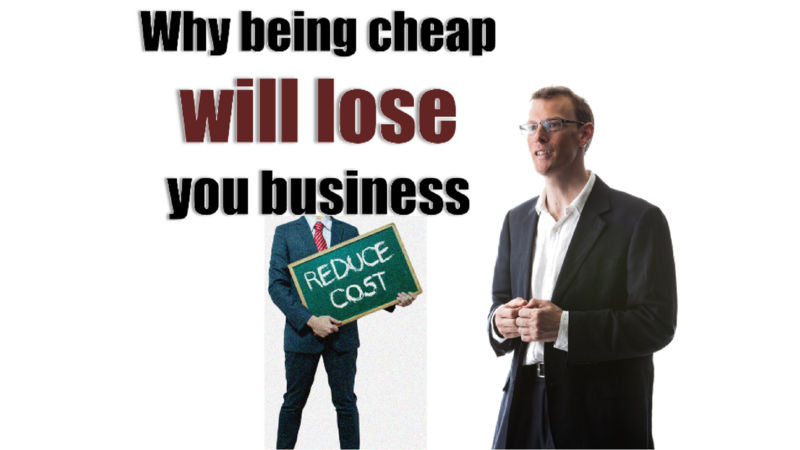 In my experience, more expensive businesses actually win more clients and grow more quickly. Take Apple. Just think about the explosion in market share for their products over the last few years – despite them being the most expensive on the market. Or consider the explosive growth Starbucks went through – despite their prices. That's because people associate price with quality. So please don't price too cheaply. I promise it won't win you any more business. It’ll simply make sure you don’t win any high-quality clients. You can watch a video where I go into more detail here. Or, if you found this post helpful, please share it with your colleagues or let me know in the comments section below. Every month I provide free online training helping accounting professionals get results from value pricing. If you want to get access to that free training click here to register your place on the list of people I invite.